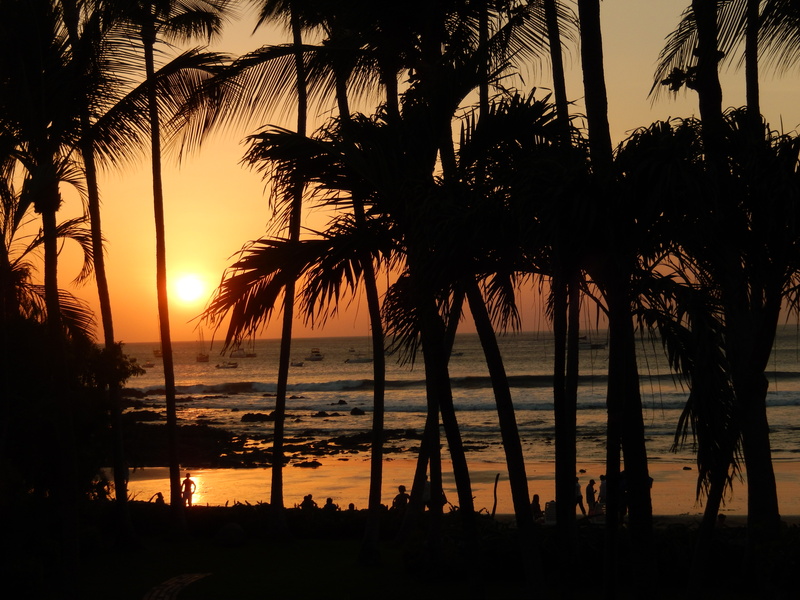 Costa Rica is an unbelievable, underestimated, affordable gem of the Americas. When Joe and I visited Costa Rica we had high expectations to see amazing things and have some amazing experiences. We were not disappointed. The people of Costa Rica are friendly and welcoming. The food was fresh and we could drink water right from the tap. We swam in natural hot springs in the shadow of a volcano and we zip lined and took hanging bridge tours in the cloud forests and the rain forests. It is a beautiful, relaxing place to experience all kinds of fun. I always travel with a camera so I can capture some of the coolest things, but I also try not to let my need for some photos interfere with my experience in the moment. I want to enjoy it firsthand, not see everything through the lens of a camera. In Costa Rica this was a challenge because I could have had my camera in hand the entire time with the constant, beautiful subject matter presenting itself. 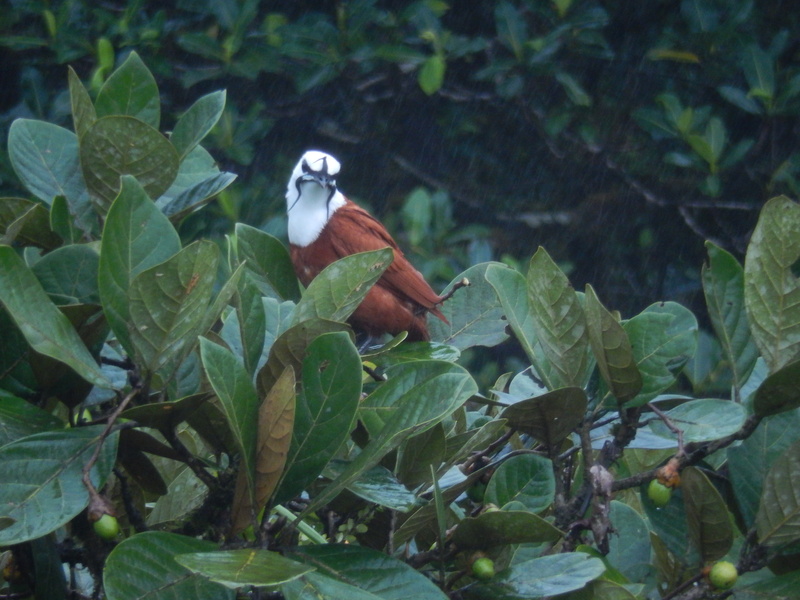 As we hiked in the rain forest and the hanging bridges in the cloud forests, we saw birds that I did not even know existed. The beauty was shocking, and I loved spotting and trying to photograph the exotic birds, even though I am not by any means a bird expert. I was not always successful in taking good photos, but I did get a few beauties. We had read on the internet that one of the most mysterious and beautiful birds in Costa Rica was the Quetzal. 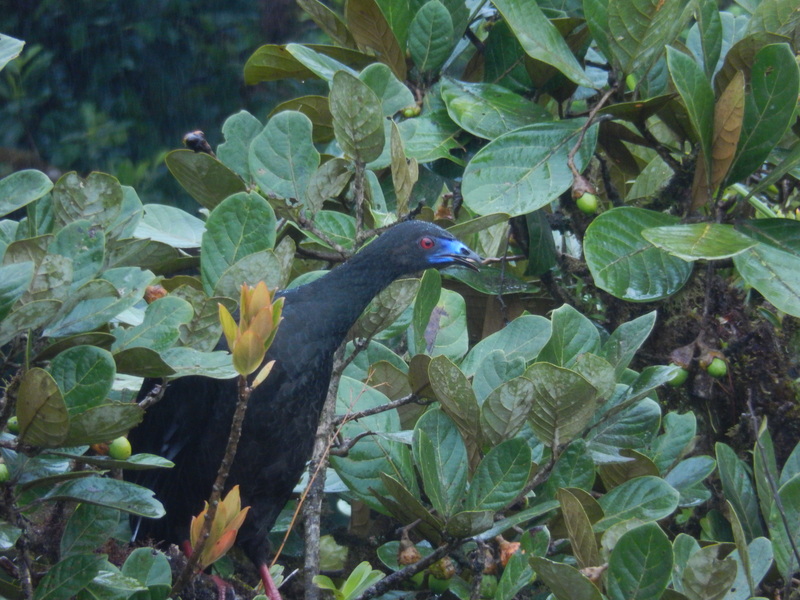 I did not get a good photo of this bird, but we were there during its mating season and we did get to see a male and a female as they flew around through the thick forest canopy. The Quetzal got its name from the Aztecs and they used the beautiful green tail feathers of the males in their ceremonies. 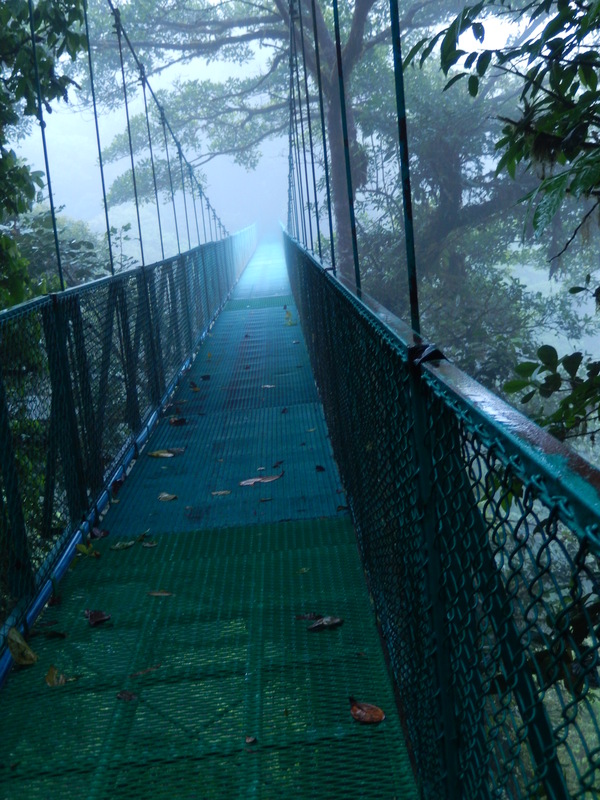 These tales, told by our local guides, as we walked through the hazy, moist, dark, cloud forests, about the Quetzal and its connections to the Aztecs, a mysterious group of people that are shrouded in stories of elaborate ceremonies, human sacrifices and enormous reserves of gold, made the experience even more intriguing. Many books and movies have been done over the years and our interest and fantasies about the Aztecs helped set the mood as we quietly walked through the forest, clutching cameras and binoculars and stepping back into time. 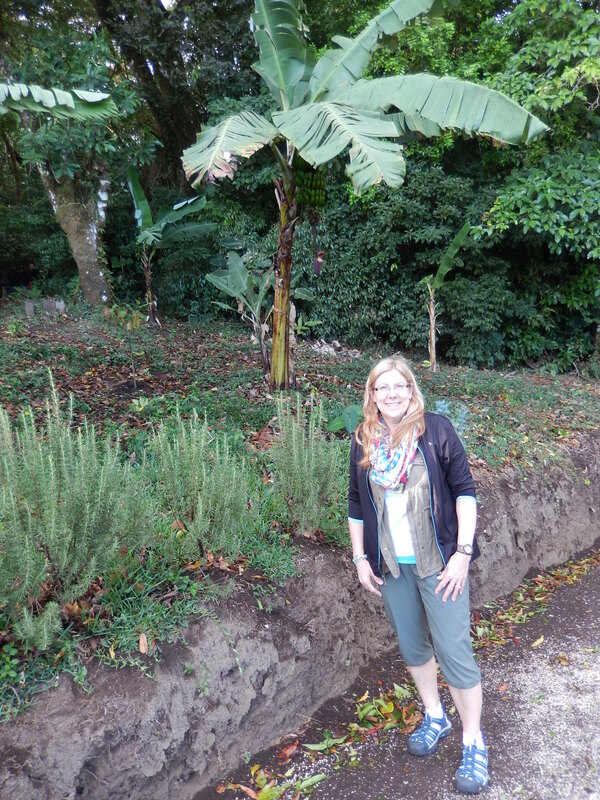 It helped that we also saw ruins and remnants of former civilizations all through Costa Rica. It added to the believability of the elaborate rituals and drama from the great civilizations of the past. We also saw hummingbirds and their nests. Even though we have hummingbirds in Minnesota and see them occasionally, the number and variety in Costa Rica was like nothing we had seen before. We saw flocks of hummingbirds in the forest of Costa Rica and we saw many different species including one that was quite large. The parks and nature preserves had feeding areas that attracted hundreds of them in many different colors. 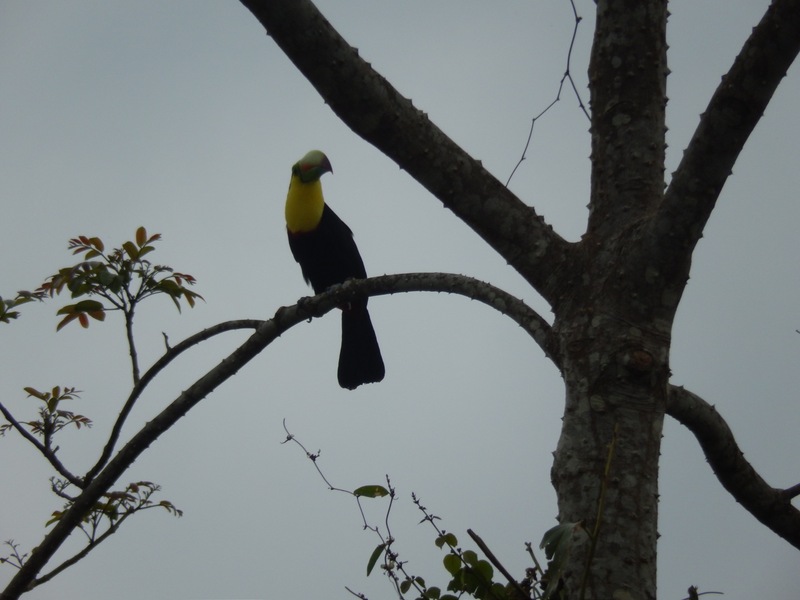 Costa Rica has been very proactive in preserving forests and habitat for their exotic birds and wildlife. 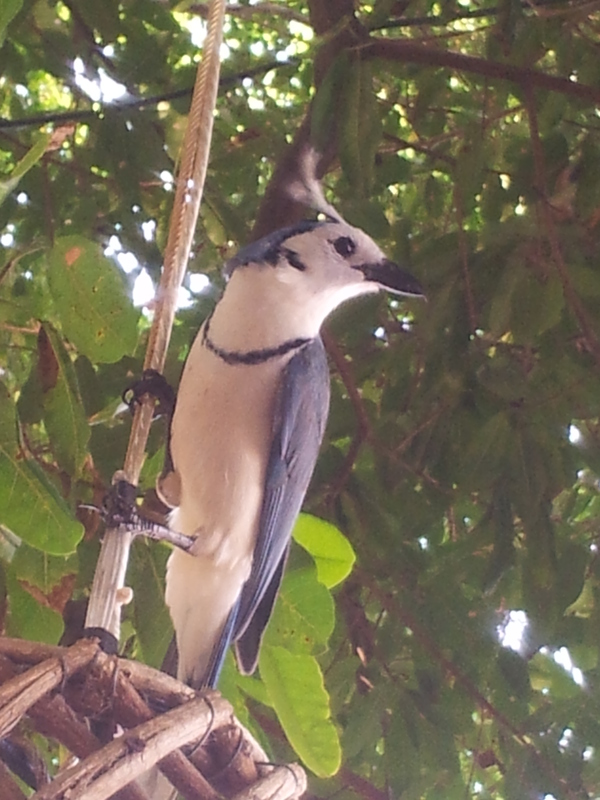 We saw toucans and odd looking blue jays, as well as birds with beards and long fluffy feathers sometimes on their heads and other times on their necks. I have always loved hiking and I love looking around as I hike and in Costa Rica, I did not even realize how far we were walking, because we were so enamored with the surroundings. ort for their protection. 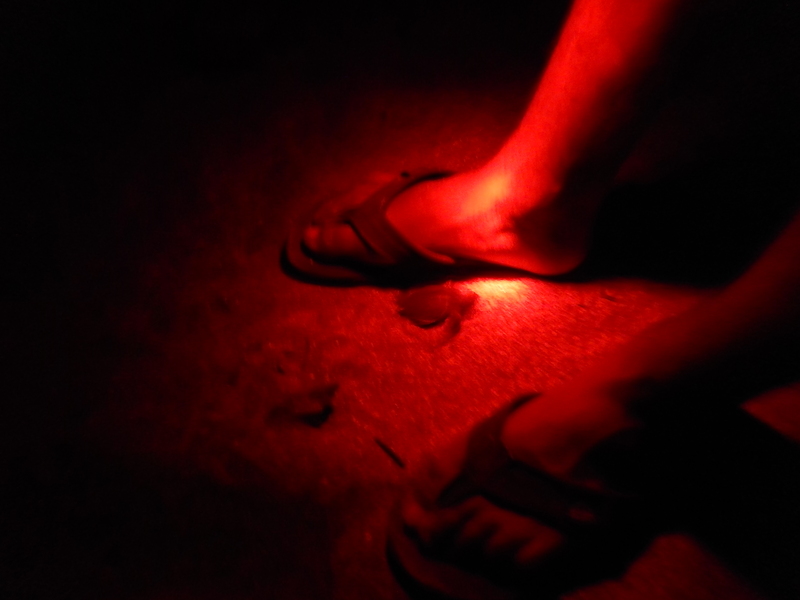 As we rode in the van, the guide informed us to be careful and not use flash on the turtles and to be careful not to step on the baby hatchling turtles. They wanted us to observe, but not interrupt the large females from laying their eggs and not disturb the baby turtles from their quest out of the sand and their race to the water. walk in the darkness, on a narrow path through the heavy brush that suddenly opened onto a dark beach, lit up only by a large orange moon glimmering over the water. You did not even need a flashlight to see the sand and what was ahead. The scene took my breath away. I had to look and pause, to soak in the moment. I could not believe that I was here in this moment of time, surrounded by such beauty and nature. How lucky could a person be to be able to travel to such a place? 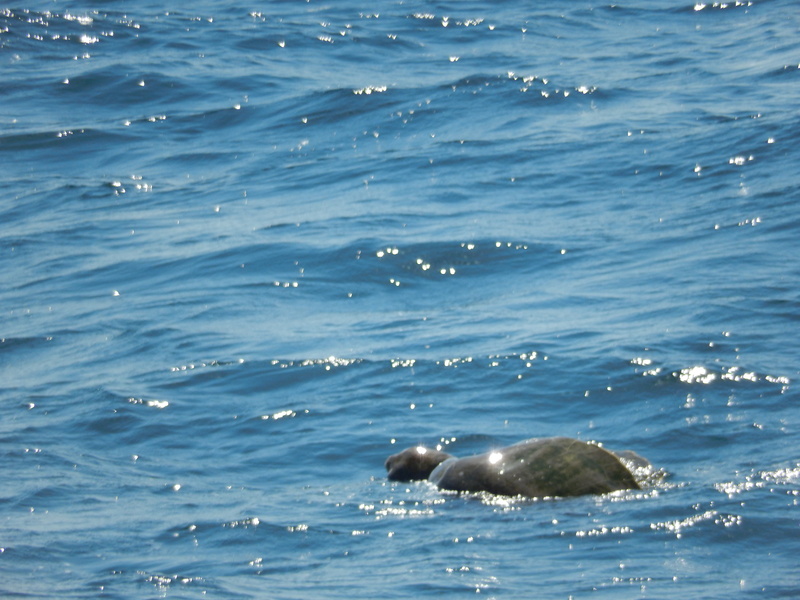 Time and other concerns became irrelevant; as we studied the edge of the ocean to see the large female green sea turtle lumber onto shore, heavy with eggs, to find the perfect spot to lay her eggs. As the guides whispered the details of the females’ trek to the beach upon which she herself had been born to lay her own eggs, we watched as she made her way to the tree line. As we saw her pick out the perfect spot, the other guide called to us in hush tones to come quickly, but watch our step as we made our way to another area where he had found a prior nest that was now hatching. We stepped carefully and stood still once we found our spot. As we watched, baby turtles no bigger than a fifty cent piece started popping their heads out of the sand, as if pushed from below and, as if being chased, they wasted no time in crawling as fast as their little flippers could take them towards the water and into the ocean. How they knew to run towards the ocean and not toward the trees, I do not know. If our guides told us I missed it, but I stood fascinated as one after the other emerged from the sand and each headed in the right direction. Not one went the wrong way, even for a few steps. They took off towards the ocean the minute their little heads emerged. There was no hesitation about which way to go. 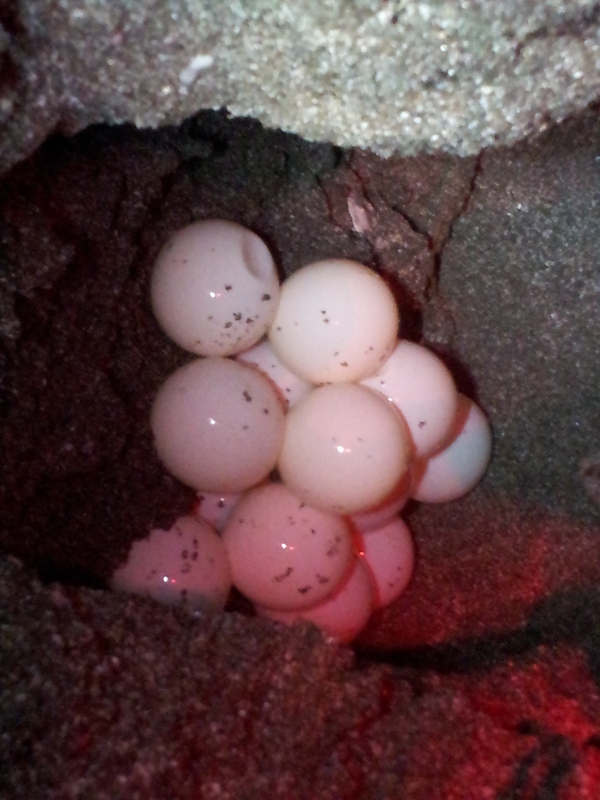 Over the next few hours we moved from watching females the size of push lawn mowers, digging nests and laying golf ball size, pure white eggs, to watching in awe as the tiny bay turtles ran in the bright moonlight, for the safety of the ocean. I had to pinch myself that I was really there. I took few pictures so that I could fully drink in the complete experience. It felt magical to be on that quiet beach at night with waves gently lapping the sand and the moon lighting our way. For someone like me, who does most of their work in an office and in Minnesota, this was a lifetime experience that left me wanting more. It was so healing. It was the kind of experience that makes you wonder why you have spent so much time indoors and you think hard about how you can travel more, spend more time outdoors and appreciate the nature and beauty of our world. It is not just that you want to see nature, you want to experience it. Experiencing nature changes a person. It touches you temporarily in the magical experience unfolding as you watch, but it also changes your perspective and it affects your permanent outlook. Those workday problems of the office seem small, conquerable and insignificant in the big picture. a big world and that we are meant to be outdoors and not struggling and stressing over things that many times do not warrant the amount of energy and worry that we choose to give to it. Spend more time in nature and in the appreciation of this big beautiful world, observing its magical wonders.